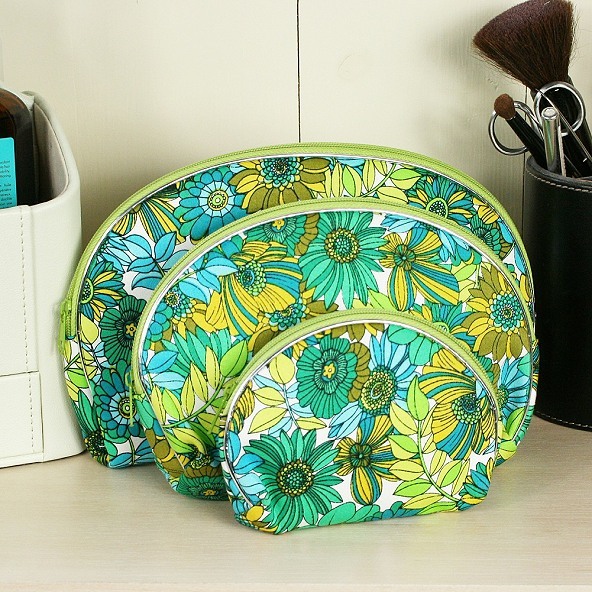 An extremely pretty set of three make-up bags in ascending sizes with a beautiful turquoise and green floral design. These bags have a lovely soft material finish with matching purple zip fastenings and a light inner black nylon lining. They have a multitude of uses including storing make-up, nail varnish and other cosmetics.